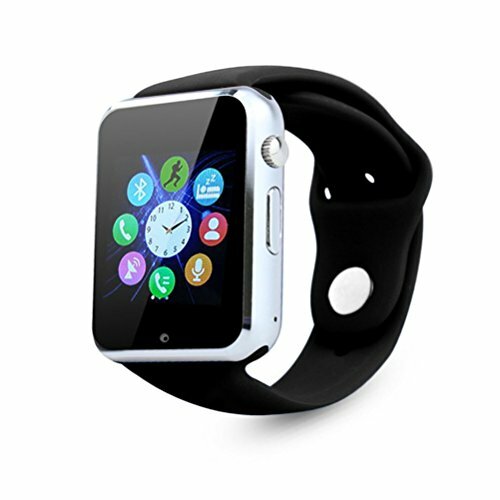 -[ Innovative Design] The smart watch has a 1.54\" TFT LCD 2.5D Radian Capacitive Touch Screen 240*240 pixels, OGS Laminating Process. -✔[Bluetooth Mode]: Notification Bluetooth Sync, Time Sync, Music Player, Remote camera etc. -[independent smartwatch]: Network model: You can Install GSM 2G SIM card, it can be use as a phone. Please make sure you have a postpaid sim card, GSM 850/900/1800/1900 MHz, Single Micro SIM Card. -✔[Compatibility-iPhone only partial functions Worked ] - Support for Samsung Galaxy Note 3; Samsung Galaxy Note 5; Samsung Galaxy S7; Samsung Galaxy S6; Samsung Galaxy S5, Google Pixel /Pixel XL, iPhone 7/7 Plus, iPhone 6/6s /5s, iPhone 4/4s, Huawei, LG, Sony etc.Buy from KKCITE Dicert,you got 12months FULL WARRANTY!